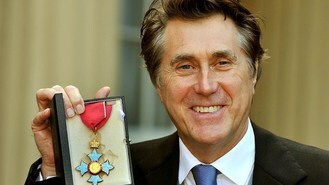 Veteran rocker Bryan Ferry has married for the second time in a private wedding in the Caribbean. The 66-year-old singer married Amanda Sheppard, 29, in a ceremony at the luxury beach resort of Amanyara on the Turks and Caicos Islands on January 4. A spokesman for the star said it was a "simple private ceremony". Ferry was made a CBE in November in recognition of a career in music spanning almost 40 years and covering everything from experimental tunes to sophisticated soulful pop. His distinctive delivery, good looks, debonair sense of style and supermodel girlfriends including Jerry Hall have all added to his image as the most fashionable of rock stars. The former Roxy Music frontman enjoyed a number of memorable hits with his bandmates - who included the enigmatic and experimental musician Brian Eno in the early days - from their debut release Virginia Plain to the dancefloor filler Love Is The Drug. His solo output showed another side of the singer - the suave cocktail bar crooner - who covered a string of songs by well-known artists like John Lennon and Bob Dylan. Little Mix have launched themselves into a vigorous exercise regime following their X Factor win, according to reports. Cher Lloyd has got engaged to her boyfriend less than a year after they got together. One Direction have revealed they'd resolve any disputes over girls with a game of Scrabble. Michael Kiwanuka has revealed he feared he'd never crack the music business - because of his name. Radiohead, Dr Dre, Snoop Dogg and The Black Keys will headline two weekends of concerts at the Coachella Valley Music and Arts Festival in the US in 2012. Cheryl Cole could be enlisting the help of Rihanna to make her next album a big hit. Lady Gaga has confessed she's partial to buying the occasional designer fake on holiday. Rapper Snoop Dogg is facing a minor drug charge in Texas after border agents said they found several joints on his tour bus. Jay-Z has confirmed the birth of "the most beautiful girl in the world" - his newborn daughter - with a rap.